Building a custom home is a great way to ensure that you’re getting the house of your dreams without the worry of hidden problems and renovations. Building a custom home is a great way to ensure that you’re getting the house of your dream without the worry of hidden problems and renovations. There are many benefits to making a choice to build a home, some of which we’ve discussed in previous blog posts, but today we want to focus on the next step — deciding who will make your custom home. Before you commit to a particular builder, you must ask a wide range of questions and do plenty of research to ensure that they are the right fit. While these questions are not the only ones you will want to ask, they can help get your conversation started. Every home builder and construction company has there limit to how many homes and structures they can realistically build in a year. Knowing what that number, where you stand in the queue, and how many houses they intend to attempt to build can give you a strong picture of their capabilities. It can also lead to further questions. If the number of homes they built last year and their predictions for the current year vary, you will want to inquire as to what changes they have made that will allow for the differences in numbers. For a financial commitment as significant and severe as a home, you want to ensure that any issues will be covered by warranties and guarantees for a period after completion. The specifics of this may vary, some aspects of the home may be covered for longer than others based on construction and anticipated ware. Regardless, having these in writing will give you peace of mind and give the builder a vote of confidence. If You Will Be Using Subcontractors, Who Are They and What Will They Do? Some builders may want to work with subcontractors to fill out gaps in their own staffing and capabilities. While this may help ensure that the work in your home is being completed by the best people, it’s critical that you know who will be working on your home and be able to vet them yourself. Not only is this important for issues of liability and in the event of later problems, but it is your right to know the specifics and to research them thoroughly before agreeing to use their work. What Does Your Standard Building and Design Process Look Like? Most established and reputable custom home builders will have a standard workflow that they use for all of their projects. Having a clear understanding of this process can not only help you to ascertain the level of professionalism of the team, but you’ll be able to learn when changes can be made during the build. 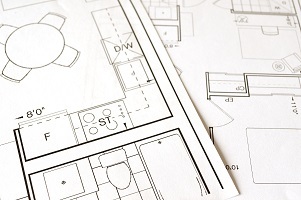 If the builder is vague or doesn’t seem to have a solid plan, it’s a good sign that you should take a step back and find someone more suitable.